Bancha is generally considered the lowest grade of Japanese green tea. It has a unique flavor and a stronger, organic straw smell. 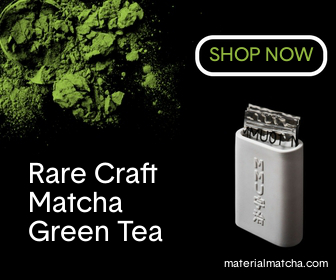 Because it is made from coarser leaves and contains some stalks and stems, it has less caffeine than other green teas. It also has a milder taste. For these reasons, it is often given to children to drink. 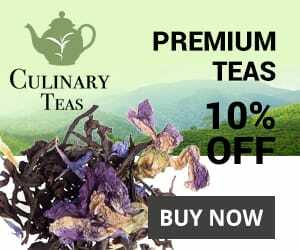 This tea can be a little difficult to find, but you can usually get it in specialty tea shops or through a few online vendors. If you are unsure where to begin, you can check out some of my recommendations below. Bancha, like most green teas, should be steeped in cooler water than black or oolong teas. A temperature of 80°C (176°F) is a good starting point. For these instructions, I’m going give the traditional Japanese preparation method which assumes you are using a simple stove-top kettle. but any type of teapot will do just fine for bancha, to be honest. Pour the water into each cup, filling it to the desired level (usually about 80% to 90% full). This will cool the water from boiling temperature to the desired 80°C(176°F). Put about one teaspoon of tea leaves into the empty teapot for each cup of tea. The teapot I am using comes with an infuser, but if yours doesn’t, you can put the leaves directly in the pot. Let the tea steep for one minute. For the second infusion, you do not need to add any fresh leaves. Pour boiling water from your kettle directly into the cups, wait about 30 seconds, then pour the water onto the leaves in the teapot. This will ensure a higher water temperature than you used for the first infusion. Let the tea steep for 45 seconds to one minute, then pour the brew into the cups, alternating cups as before. Distribute all the liquid, leaving the leaves as dry as possible. Many varieties will not last for a third or fourth infusion, but you should give it a try and see how it tastes. You can probably skip the intermediate step and just pour the boiling water directly onto the leaves in the teapot. Let the tea steep for one to three minutes, depending on the quality of the tea you are using. Basically, you’ll want to keep experimenting until you come up with the perfect brew for your particular taste. Bancha is quite difficult to find online and is not available at any of the online tea shops I use. Luckily, Amazon.com has a few options. The highest quality comes from Rishi Tea, but personally, I wouldn’t pay a premium for bancha and would just get sencha instead. Hime tea has a less expensive alternative and even offers the same tea in a value pack, which is easily the best deal I’ve found on Amazon for this type of tea. For more on bancha check out the Wikipedia page.